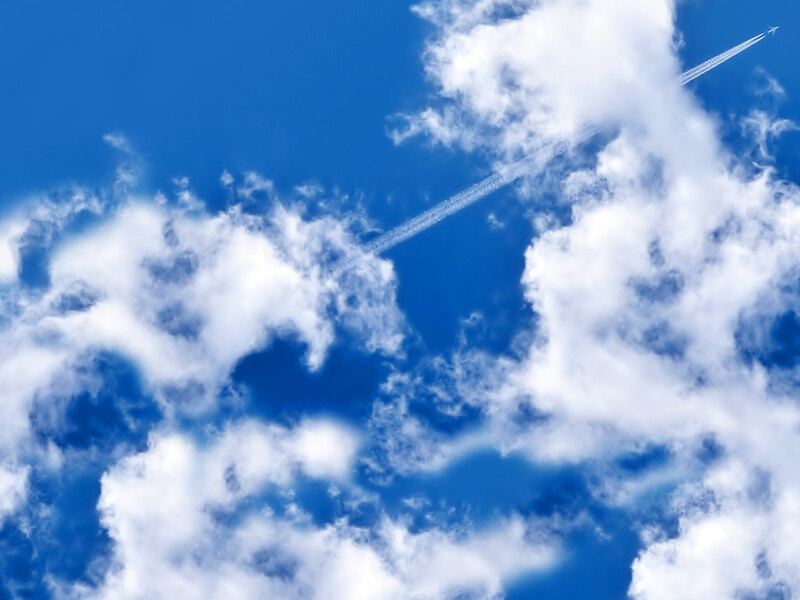 Enjoy your flight to Rome, from your city/airport of your choice (airfare not included). 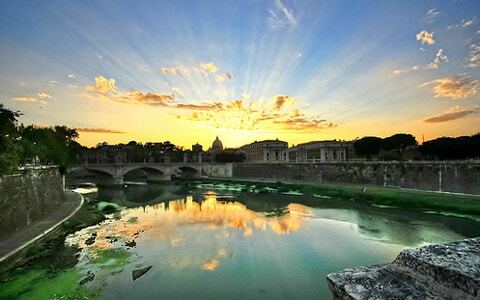 We arrive in Rome, “The Eternal City” about noon, claim our bags and partake in an afternoon city tour with lunch. We check into our hotel in the late afternoon, enjoy a siesta, freshen up and then enjoy dinner. Overnight- Rome. After a hearty breakfast, we will cross the Tiber River and visit the Vatican Museum and its Sistine Chapel home of Michelangelo’s painted ceiling. 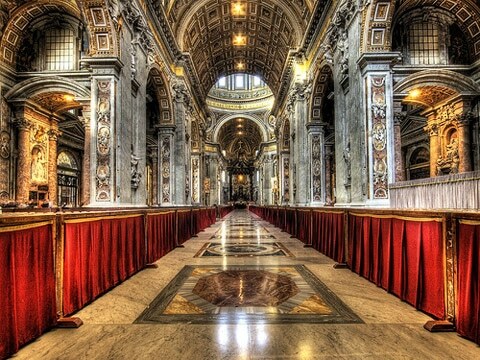 We will visit St. Peters the most famous and largest church in the entire world, view “The Pieta” and explore the Crypt, resting place of the Popes. After a morning at the Vatican we will enjoy a light lunch. About 2PM we will board our coach for a leisurely tour of monumental Rome. 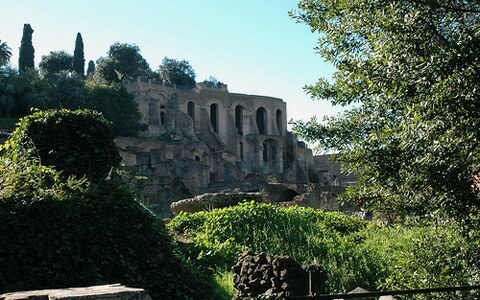 Included will be a visit to the Coliseum and The Roman Forum, well over 2000 years old. We will make stops at the Pantheon and the Spanish Steps. You will have time to throw three coins over your shoulder into the Trevi Fountain. We return to our hotel for a siesta about 6PM. Dinner follows at 8PM at our hotel. 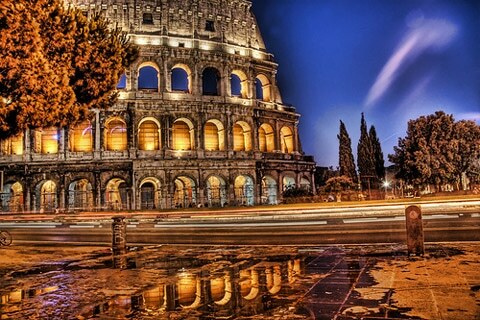 Overnight- Rome. Today will probably be the highlight of our trip to Italy and one of the highlights of your life. 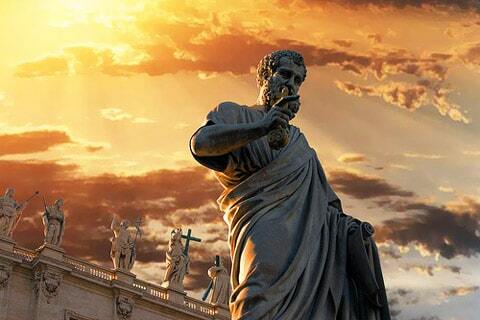 We will all attend Mass at St. Peters and receive communion. After Mass we will all assemble in St.Peters Square and wait for the Holy Father to wave to us from his apartment window. We will then board our coach for Assisi, home of St. Francis. We will enjoy lunch en route arriving at Assisi 2-3PM. 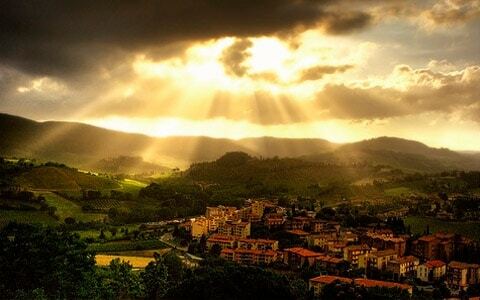 On arrival we will walk this ancient hilltop walled city where St Francis lived and visit the Basilica of St. Francis. About 5PM we depart for our hotel about 30 minutes away in Perugia. Dinner follows at Overnight- Perugia. We depart for Siena after breakfast. On arrival we will walk these medieval streets until we come upon one of the most famous squares in Italy, “The Piazza Del Campo”. Yes, the square is not really a square but a large semi circle. You will remember this “square” from numerous pictures where the famous horse race is held twice a year. 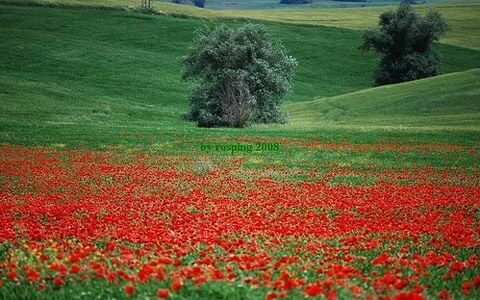 We will have time to shop and sit at a café, drink some espresso and sambucca and do what the Italians do best, “Nada”. Yes, they do know how to “relax”. Time permitting we will visit the 12thcentury cathedral of Siena. 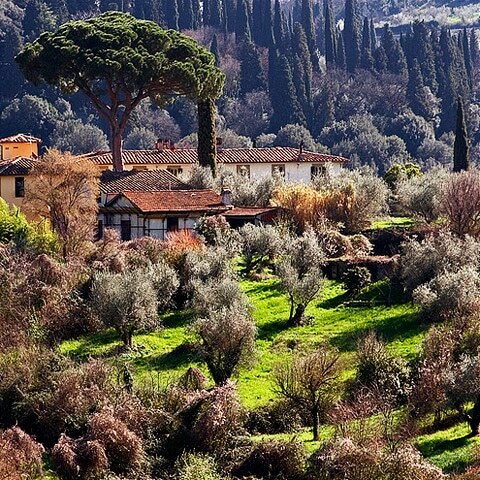 On departure from Siena we will traverse the beautiful Tuscan countryside where we will enjoy lunch. After lunch its only a short 10 minute drive to the hilltop town of San Gimignano. Unlike other hilltop walled towns, San “Gimi” is unique. It is the only hilltop town with more than a dozen “towers”. We will have time to shop and walk the old streets of this medieval town overlooking the Tuscan countryside with its vineyards and farmlands. We depart for Montecatini in the late afternoon. Dinner follows at our hotel in Montecatini . Overnight- Montecatini. We arrive in the City of the Renaissance (The rebirth of the Arts and Sciences) about 9AM for a morning tour of one of the most famous cities in all the world. Our first visit will be the “Academy” to view Michelangelo’s sculpture of “The David”. We won’t have to wait in line for two hours either as we are ushered through the groups only door. Our next stop is a short stroll over to the Cathedral of Florence known as the Duomo. You can’t miss this one. 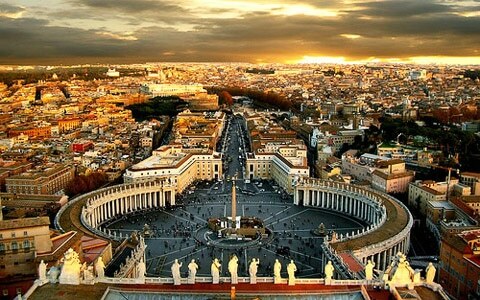 Like St. Peters it is large and magnificent and constructed of green, white and pink marble. Emerging from the Duomo it’s only a short stroll to the Ponte Vechio Bridge and the old market. Lunch follows at a fine restaurant in Florence. We depart back to Monticatini about 2PM. On arrival, about 3PM we will have time to freshen up. Afterwards you might want to take it easy at the hotel and enjoy the countryside view from your balcony or join us for a visit to “Montecatini Alto”. It’s only a two-block walk over to the “1898 Funicular” which takes us to the top of this quaint hillside town. Once at the top you will find cafes and you will be able to once again do “Nada”. We return to our hotel about 6PM for a short siesta. Dinner follows at 8PM. Overnight- Montecatini. We depart for the Cinque Terre about 8AM. This has got to be one of the most exciting days of your tour of Italy. The Cinque Terre are five towns that are built into the hillside of mountains overlooking the Mediterranean. About 130 years ago they were inaccessible to the masses until the Italian government blasted tunnels through rock and created the rail link to Genoa. We will board the train at La Speza for an 8-minute ride to the first town known as Riomaggiore. We will have ample time for photo ops on arrival. Its then only a 20-minute walk to the next town. We will pay our fee (included, It’s a National Park) and stroll the “Via dell’Amore” (path of the Lovers) as it hugs the Cliffside high above the sea to town number two, Manarola. On arrival we will have time for a gelatti or a café. We depart the train back to La Speza (about 10 minutes) where our coach is waiting to take us to lunch. 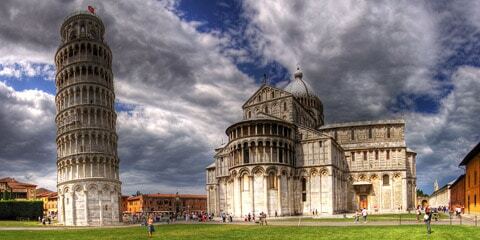 After lunch we shall return to Montecatini via Pisa to view its famous “Leaning Tower”. We arrive back at our hotel about 6PM. Dinner follows at 8PM. Overnight – Montecatini. We depart Montecatini for Venice. Our first stop at about 11AM will be at the Vineyards of Lamincana for wine tasting. Lunch follows nearby in an 500-year-old castle. Afterwards we will taste wine at another vineyard in the area. There will be able time to purchase wine and walk in the vineyards, as the grapes will just be starting to grow. 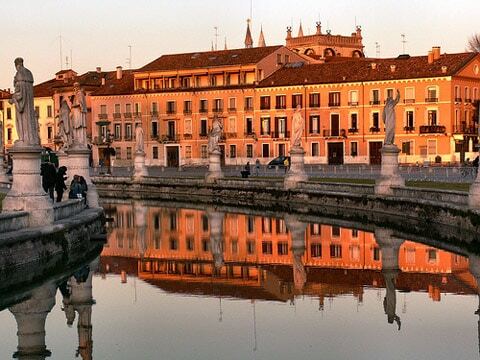 In the later afternoon we will proceed to Padua to view St. Anthony’s Basilica. 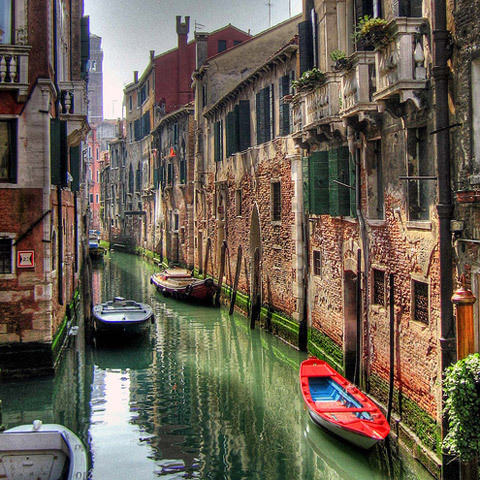 Then it’s only about a 40-minute drive to Venice where we shall arrive late in the afternoon. After check in to our hotel just outside Venice there will be time to freshen up and have a siesta. Dinner follows at our hotel. Overnight- Venice Mestre. After our breakfast we will begin our Venice day trip. 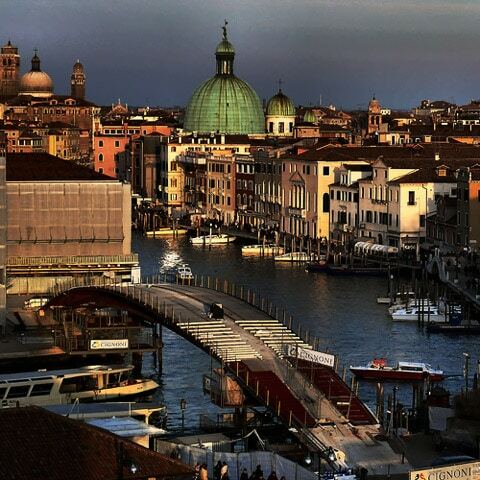 We will walk across the street from our hotel and board the five-minute train to Venice. On arrival we will have a walking tour (there are no roads in Venice) of this City that was built in a lagoon to protect it from invaders over 1000 years ago. Once Venice was the “Capitol of the World”. Here, ferry boats (Vaporettos) replace buses and sleek motorboats replace taxis. We will visit the churches and squares and work our way over to the Rialto Bridge for shopping. Our next stop will be short walk over to St. Marks Square where we will enjoy a light lunch. Afterwards we will visit the Cathedral and time permitting we will watertaxi over to the “lido” for a “stroll” and do “nada” or perhaps visit one of the other lagoon islands. We will board a Vaporetto for a return trip to the Stazione for the five-minute ride back to our hotel. Dinner follows at our hotel. Overnight- Venice Mestre. After breakfast, we will be transferred to Marco Polo (Venice) airport for our flight back to your City/Airport of your choice. Departures & Arrivals has been offering Custom Group Tours to Travel Agents and Group Tour Organizers. Our clients include Senior Groups, Special Interest Groups, Religious Groups, Fraternal Groups, Banks, Clubs, Credit Unions and Alumni Groups. We believe we offer some of the best group tours in the industry. We never hand over our tours to other group operators. We offer a limited product line of unique group tours. Most of our tours include air, accommodations, three meals a day and a complete coach tour. All group tours are adult based. Our classic tour of Italy including, Rome, Florence, Venice, The Cinque Terre and Tuscany is also available via a “Van Tour”. Eight people are needed for this custom van tour. The tour includes a full time driver/tour guide. There is ample room for one bag of luggage and one carry on bag per person. Since we utilize a van, there is no toilet on board. However, unlike the United States, on most roads in Italy and the “Autostrada” there are clean rest stops every 10-12 mintues apart.